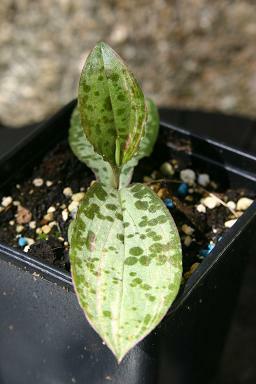 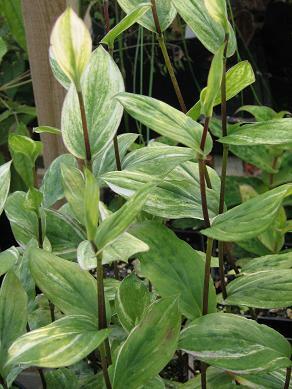 A Japanese Toad Lily that can be a little squinny in growth. 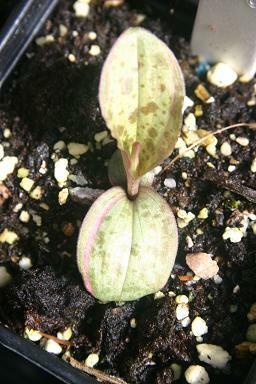 A number of forms have been selected for their patterned leaves. 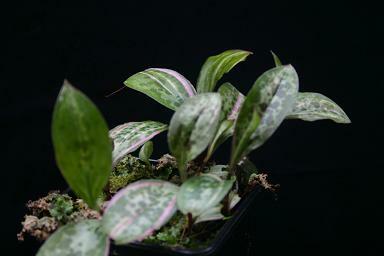 This one is variegated with pinkish white stripes running through the leaves.